Oh no! This bread is coming up and everyone has been giving it dismal reviews. I can’t wait to get it over with. 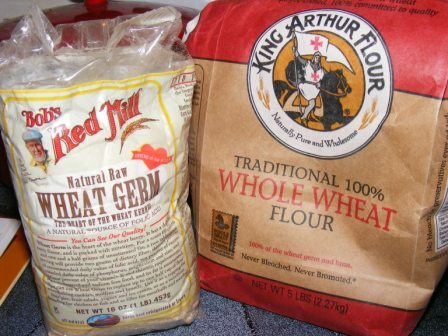 If you have vital wheat gluten, you might want to add it, even though the recipe doesn’t call for it. Those who have report better results. Dense and chewy hmmm? Just my kind of bread. I’ll probably love it. Sorry it was not so inspiring for you. But just think, you have potato chive cheddar torpedos to look forward to! I am a total sucker for whole wheat bread but I am DREADING this after reading all the rough reviews. If you like WW bread, you might like this recipe. Whole grain breads are like beer — an acquired taste. Read ahead to the next recipe. That should be enough motivation to bake this bread! I love your dough wand. I’m planning on making this in a couple of days.. but as hamburger buns. Agreed though, straight whole wheat can be boring and a little heavy. 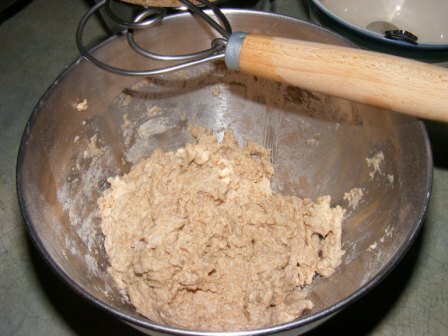 The dough whisks (I have 2 sizes) are among my favorite baking tools. They are definitely on my list of must-have kitchen utensils. Uh-oh. 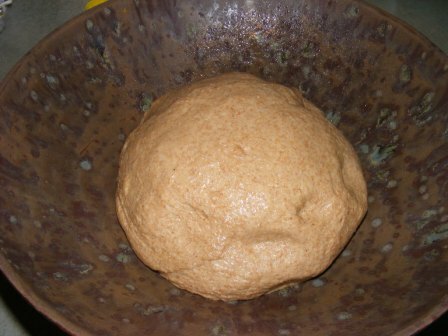 Now I’m afraid to try making this bread~ I have a fabulous whole white wheat bread that I absolutely love. 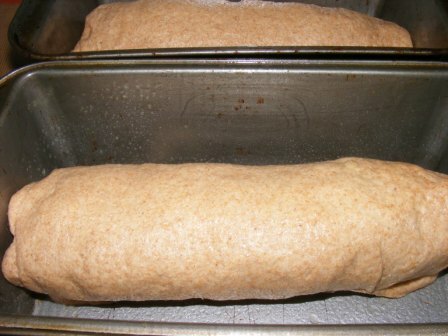 I add vital wheat gluten to mine and I believe that makes a difference to the texture of the bread. I also allow my sponge (1/2 wheat flour + all wet ingredients) to sit for 45 minutes before adding the rest of the flours. 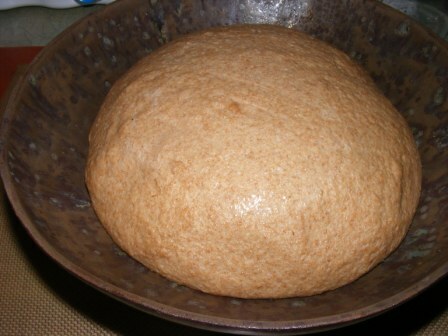 This softens the bran, which causes whole wheat bread to be heavy or dense. Thanks for the post! I hunted the cupboards for VWG but didn’t have any. If I’d had any onhand, I would have used it to lighten this bread.